Beijing Sevenstar Electronics Technology Co.,Ltd. Beijing Sevenstar Electronic Technology Co., Ltd. (Sevenstar Electronics) is one of the wholly-owned subsidiaries of NAURA Technology Group Co.,Ltd. The company includes six subsidiaries, 718 YOUSHENG, 718 YOUYI, Chen Jing Electronics, Sevenstar Microwaves, Sevenstar Micro-Elec and UtiPower HQ. Mainly engaged in developing and manufacturing precision resistors, new tantalum capacitors, quartz crystal devices, microwave components, power supplies, hybrid integrated circuits and other series of high-precision electronic components. The products are widely used in such industries as aerospace, aviation, automatic control, power electronics, precision instrument, and rail transport. Sevenstar Electronics is a descendent of the state-owned North China Radio Equipment Factory (state-owned 718 plant) constructed during the "1st Five-Year Plan". It has created a precedent for the production of radio components in China, and is known as the cradle of the new China's electronics industry. In 1964, the state-owned 718 plant was restructured and thus setting up the 706, 707, 718, 797, 798 and some other professional plants. In 2000, it carried out a debt-equity swap and was incorporated into the Sevenstar Group, becoming the backbone business for high-end electronic components. In 2016, Beijing Sevenstar Electronics Co., Ltd. was founded and inherited the business focus of manufacturing professional high-end precision electronic components. 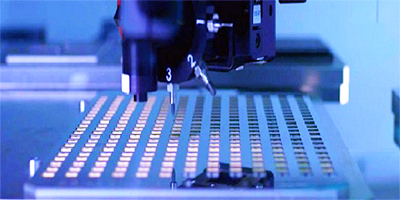 In recent years, metal film fixed resistors, bipolar chip tantalum capacitors, quartz crystal oscillators, quartz MEMS gyroscopes, load point power modules and some other products with high-precision and high-stability that are independently developed have obtained customers’ trust throughout the world because of their excellent performance, solving the problem of long-term dependence on imports, and greatly reducing the cost of use for customers. Sevenstar Electronics has won "Outstanding Contribution Award", "Gold Supplier" and some other honors and qualifications issued by the aerospace, aviation, and electronics user groups. Sevenstar Electronics has continuously acted as an advanced group and obtained accolades for outstanding contributions from the flight tests of aerospace manned engineering series it produced. Over the past sixty years, Sevenstar Electronics has advanced with the times, made brilliant achievements in scientific research and excelled in market performance time and again!